ANILLO CON LAS 5 RUNAS DE PODER. CONSULTA LA MEDIDA DE TU DEDO Y COMUNÍCALO AL REALIZAR TU PEDIDO. 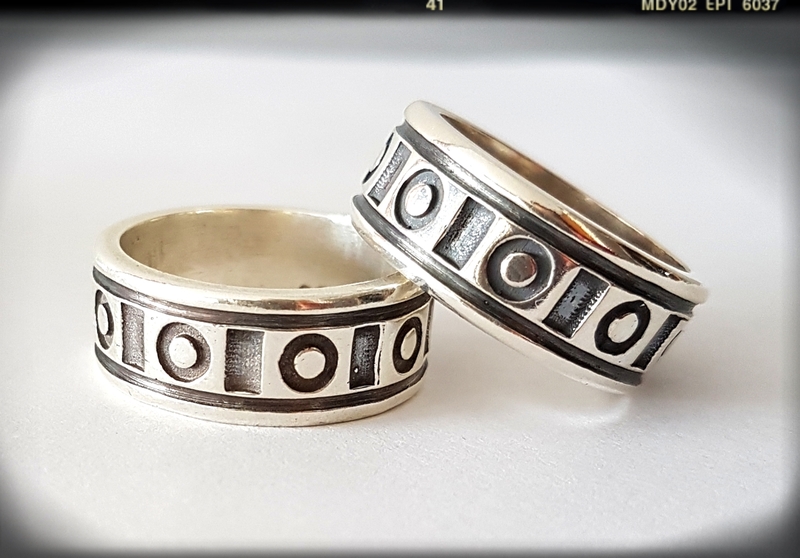 ANILLO DE LAS RUNAS CON SIMBOLOS TOTALMENTE DETALLADOS CON PROCESO DE ENVEJECIDO. CONSULTA LA TALLA DE TU DEDO Y COMUNÍCALO AL REALIZAR TU PEDIDO. SIMBOLO DE LA PAZ CÓSMICA MEDIDAS: 1,5 CM DE DIAMETRO. ANILLO ADAPTABLE LA PARTE DE ATRAS TIENE GRABADA LA PALABRA PAX. CONSULTA LA MEDIDA DE TU DEDO Y COMUNÍCALO AL REALIZAR TU PEDIDO.